potential new cheeses. Maybe I am not very experienced, but it amazes me that it is possible to make such different cheeses from the same starter but using different techniques. to spend a disproportionate amount of time potting and bagging it up, but it is all good stuff and I don’t mind, even if it is terribly time consuming, it’s great to get it out there! banana cake – thank you Mike! I had a great road trip the other Tuesday, to Scotland. My internet at home has been very intermittent in the last few months, (partly why little blogging) which caused a bit of a problem, for, when I sat in my car outside my house at 7.30am tapping in the postcode of my destination, the sat nav would not accept it and I had no internet to find an alternative. So, after a little swearing, I thought there was nothing more I could do other than point the faithful cheesemobile northwards. I knew I had to aim for Edinburgh, so I headed up the M6 and followed the signs to Edinburgh and somehow, quite out of character, I found the industrial estate I was aiming for with no trouble at all, no getting lost, most out of character. The journey passed surprisingly easily, I listened to Radio 4 and my ipod thingie which streams music through my radio. Whilst I found the industrial estate, I drove around for 15 minutes looking for the right place only to be stumped – typical, hey, I get there without sat nav or maps but cannot find an industrial unit until I noticed a Cheese Cellar van. Aha, I thought, follow that van and sure enough it took me to the door. Excellent! I had a great meeting with some lovely, enthusiastic and knowledgeable people. It was a pleasure to meet them. 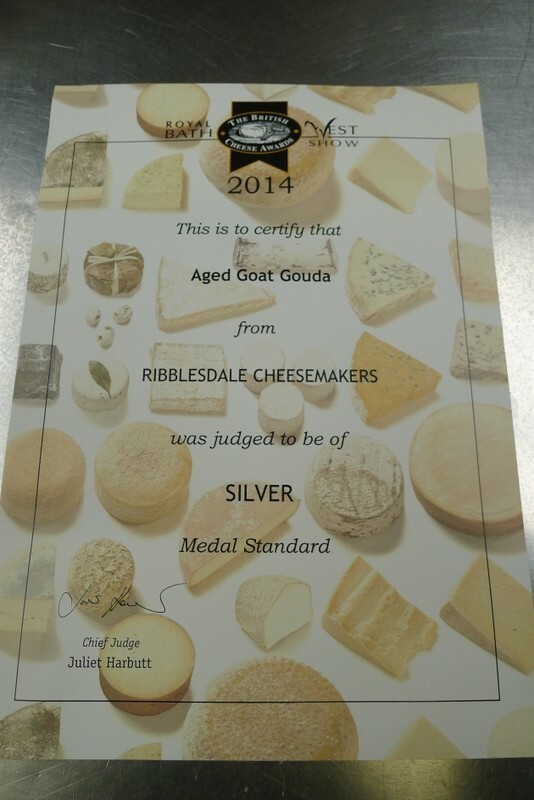 We had a good cheese tasting session and I was treated to a look around their cold room – wow, some fabulous cheeses in there and I hope ours will join them. Coming back, I tapped ‘Home’ into the sat nav which told me to turn right after 3.4 miles. Hhhmm. It was considerably more than 3.4 miles when I realised that the sat nav was no longer talking to me. In fact, it had died. Not only that, I was not going back on any route I remembered, the radio wouldn’t work and my ipod gizmo had also expired. Almost 50 miles later after having driven up and down a mountain pass with zero villages, towns or any obvious landmark, just forest and a helpful sign saying River Tweed, I finally reached the motorway and mysteriously joined the M74 2 junctions further down than I had got off coming up. I have no clue where I had been, still don’t, but that less than enigmatic sign saying ‘South’ was a very welcome relief. 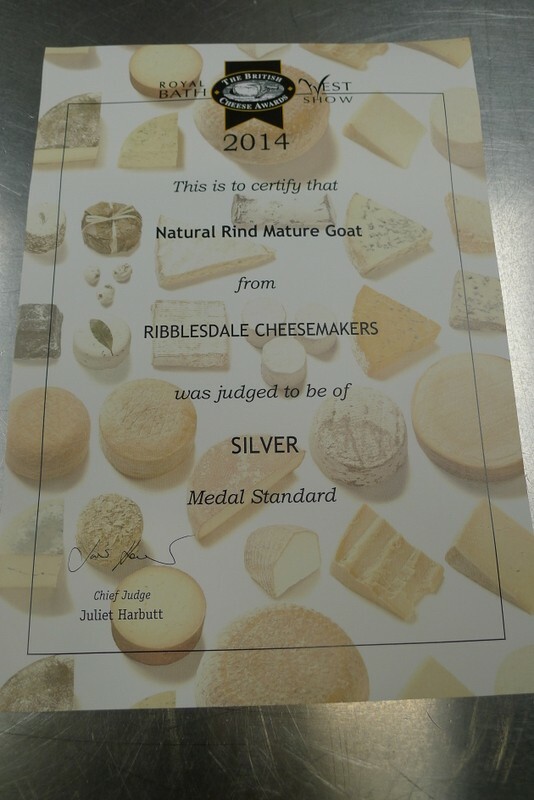 We had a great two day commercial cheese making course. It was intense, but I enjoyed it because the four people all had a great deal in common and all were some way down the road to starting their own dairy, which is exciting, not to mention life changing – good luck to Becky, Chloe, Sophie and James and I look forward to hearing how they each get on. Our annual EHO visit is booked for the middle of June so that is one to tick off. Hope not to forget it this year! Other things that have happened include sending for the doctor again for the forks as its little rubber feet had come apart, making it hard to manoeuvre, so Ray the forklift mender came from Darlington and ministered to it. We had a ratty man visit and I am trying to plan our dairy expansion which is proving very tricky. 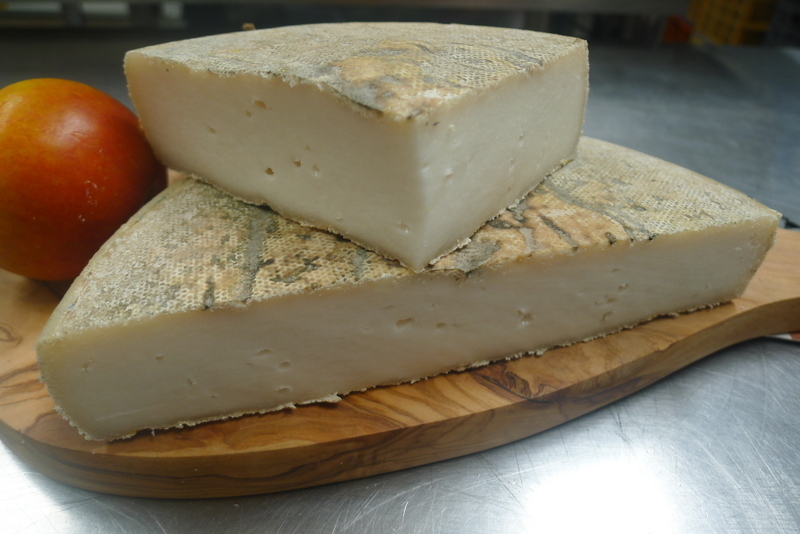 I have asked for some help from a very experienced cheese maker friend who is so busy we haven’t yet been able to meet up, but it’s one of those things that I know I cannot do by myself and I am afraid of not doing it properly. In brief, I have bought a boiler to generate steam and an oil tank to feed it. We plan to convert to using steam to heat a new large vat and our new pasteuriser. We are going to have to rearrange all of our dairy equipment (again!) to make best use of the space and possibly move the dividing wall between the dairy and the wholesale area. It’s a really big job and to be honest, I am dreading the upheaval, installation and commotion. In my experience, it’s when you change things that things start to go wrong so we are going to have to be extremely careful to maintain our routine and quality. We also had a visit from one of our larger customers, in person, so we were very honoured; it was a pleasure to meet with him at our place. I showed our guest one of my new product development trial cheeses (pictured above) – and he liked it and said he would take it! Yay! So I have to start scaling up and perfecting it. I have had a hideous time getting quotes for more labels. I asked for a quote from 12 companies. Seven replied and quotes ranged from 3.3p per label to 12.1p. It was a 50/50 mix between digital and old fashioned plate printing, for the first timeI have opted for digital, so it will be interesting to see if there is a difference in quality. am a real newbie so am probably not doing it very well, so it’s early days. 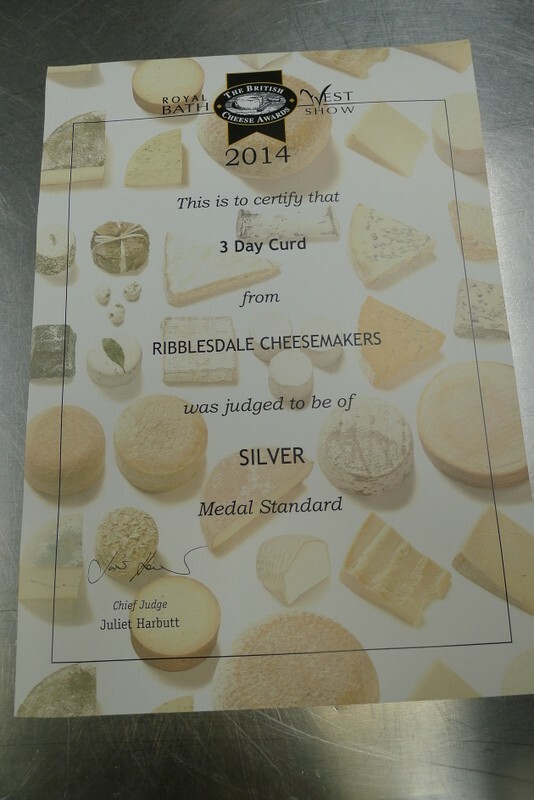 Our Twitter is: @RibblesdaleC. Thursday was a really busy day, some end of month orders, which is great, but very pushed to get them out in time and a funeral to go to. Stu came in for half a day to cover for me which was very noble as this week has been a holiday week for Stu. The major lowlight was the death of our part timer Andrew’s step dad, Dave aged only 48: too soon and too cruel. The funeral was on Thursday with an amazing turnout and a lot of lovely shared memories to keep thoughts alive. My thoughts are with Dave’s partner Heather,step son (our) Andrew and Dave’s mum and dad. Friday, I was scheduled to do a cheese tasting at a customer of ours, but my car died, right outside my front door – it simply would not start. 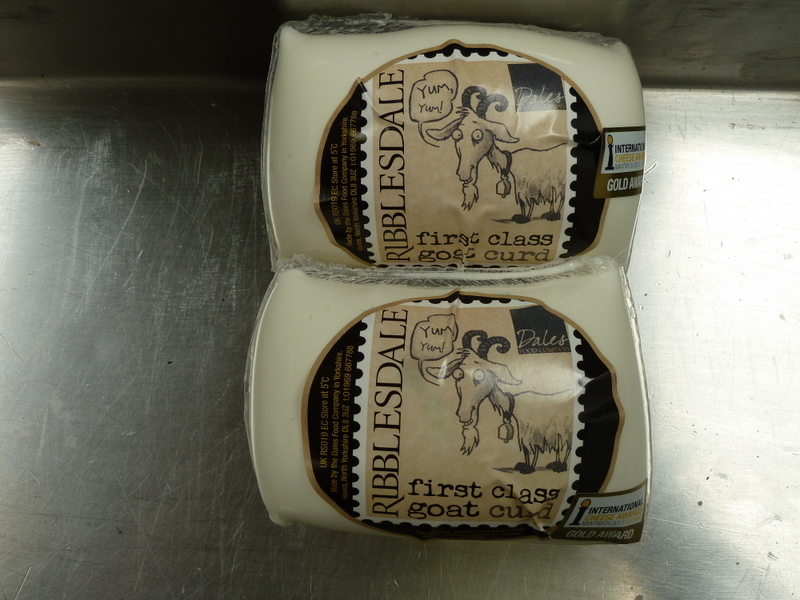 I felt awful about letting our customer down, not to mention piles of cheese samples, clean apron and Ribblesdale Cheese banner languishing in the back of my car. Yesterday, Monday, my faithful cheesemobile was returned to me, with a new battery but no radio. I would rather have a functioning car, though but how to get radio 4 back? Let’s see what June brings us!